Are you keen to add some extra value to your home? Then again, may be you have been wondering how you could add extra space to your home without having to go down the line of an extension. If this sounds like you, thinking about ways to convert your attic could be the ideal solution for your needs. Let’ take a look at some great ideas for attic conversations. If there is one thing that many of us would love to have in our home it’s an extra bedroom. Perhaps the kids are getting older and the novelty of sharing a bedroom is wearing off rapidly. Then again our home may lack a guest bedroom which always poses an issue when we want to invite family or guests to stay with us. Whatever your personal reason may be, deciding to convert your attic could provide you with the solution. Don’t worry, you don’t need to have your guest hobbling up a rickety ladder to make their way to a dark upper room that resembles something seen in nightmares! These type of attic conversions certainly are a thing of the past. Nowadays, conversions can be carried out to such a level of finesse and style, as well as practical features such as a ‘real’ staircase, why your guests will hardly have any idea that they are bunking up in the attic! When you have kids (plus maybe a few of the four-legged kind too) running all over the house, it can at times seem like it is hard to find a quiet spot to catch your breath. An attic conversion could provide you with a relax spot that can be worth its weight in gold. Whether you decide to set it up as a study or office, or simply as a den or ‘man cave’ you can let your imagination run wild on this one and come up with a space in your home where all the worries of the world get left at the bottom of the staircase! Indeed, at times it can be hard to find a way to create more space in your home, for instance for another bedroom, a study, an extra living space or just an area where you can unwind and get away from the craziness of life for at least half an hour (if not a little longer!) The answer to your problems could currently be in the form of a dark and dusty attic sitting right above your head. Attic conversions are popular these days which means it doesn’t need to cost you an arm and leg to transform your wasted space into something that could truly be called magnificiant. Think about your current home setup and determine what type of room use would be the best for your humble attic. Then it is time to make the magic happen and create a new room that is nothing short of magical! Converting the attic into functional space is fast becoming the most popular trend in home improvement, and it isn’t difficult to see why. Let’s face it, as homeowners, space never seems to be enough, and out of all the available options, a loft conversion is not only the most cost-effective technique of gaining extra space but also offers the most value for your money. A loft conversion allows you to create extra space and benefit from a bigger house without having to endure the hassle of moving out. The process of searching for a bigger house and moving out is not only time-consuming but can also be very expensive. While creating some extra space might be the definitive reason behind an attic conversion, there are numerous other benefits of loft conversions that homeowners stand to gain. A loft conversion should be treated as more of an investment rather than an expenditure.Nationwide Building Society suggest that loft conversions and house extensions are the most beneficial types of home improvements. A loft conversion can increase your property’s value by up to 20%, which is a significantly high amount of return on investment. Another reason that makes investing in a loft conversion valuable is the fact that you can choose to rent out the space and earn some extra monthly income. For example, students are always looking for a viable place to live near their learning institution. Renting out the converted loft helps you to gain financially without the need of selling your home. A loft conversion is a brilliant way of adding more space to your existing property. Whatever the reason you need the extra room for, whether it’s for an extra bathroom, bedroom or storage space, a loft conversion offers you the perfect solution. You can literally convert the attic into any room of your choice. Having this extra living space offers much convenience especially when the family is large or growing. Moving to a new home always presents you with numerous hurdles. First and foremost, one has to consider the financial implications. The costs of acquiring a new home are increasingly getting higher every year. In addition, the process of moving out is not only time consuming and labour-intensive, but it is also quite expensive. A loft conversion allows you to create some extra space within your existing home without the need of incurring high costs and unnecessary disruptions. Some homeowners with loft conversions even suggest that having their attics converted made their houses look and feel brand new. If you are planning for a loft conversion, you might consider choosing the best company for the task. 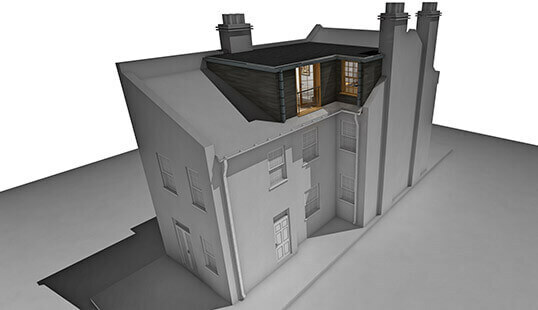 A professional loft conversion company ensures that the process of attic conversion is fast and straightforward saving you loads of time. There are various factors to consider when choosing a reputable loft conversion company such as experience and references. As discussed above, there is a myriad of benefits that you and your home stand to gain from a loft conversion. From a financial and functional standpoint, the benefits of loft conversions cannot be overlooked. If you are in need of some extra living space, a loft conversion should be your the first option that you should consider.